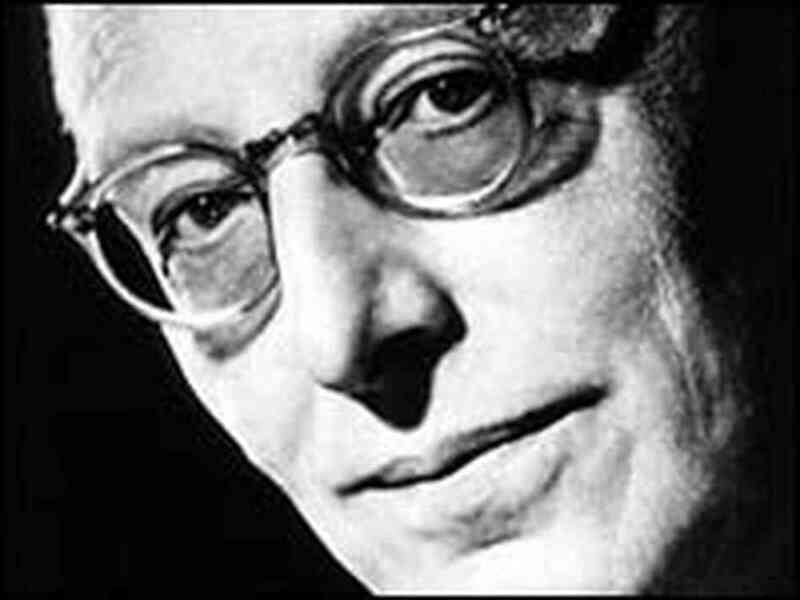 Chances are very good that the only thing you know by Carl Orff is Carmina Burana. Carmina is a suite of songs for chorus and soloist based on poetry by medieval defrocked monks. It's lusty music, full of pounding rhythms and grunting voices, collectively evoking a post-Christian bacchanale. The most famous piece from the suite is "O Fortuna," a hymn to chaos that begins and ends the work, and which has provided background music for many a depiction of apocalyptic warfare. As a whole, Carmina Burana is one of the most popular classical works composed in the twentieth century. Musically, it's schlock, but it's fun schlock. It's a shame that so few know anything else about Carl Orff, because it's far from his greatest contribution to music. That would be the Schulwerk. With the help of Gunild Keetman, Orff developed an approach to teaching music that puts children at the center of the learning experience. The Orff method is elemental, starting with simple bits of rhythm and melody and gradually, systematically growing them into a comprehensive and full-body understanding of music on a global scale. I had been teaching music full time for two years when I attended my first Orff workshops, and like listening to Joshua Tree for the first time, they were a watershed experience. Here was a way to teach music that was utterly harmonious with the way I experienced and performed music: from the heart, with my whole being. I went on to take more workshops, then enrolled in formal Orff training which I have now taken as far as I can without leaving the United States. At present, I am without an elementary classroom in which to apply this knowledge, but I'm hopeful that this will change in the near future, as music is finally returning to schools after a painful half decade of budget cuts. My personal Orff guru is an educator by the name of Doug Goodkin. Doug teaches at the San Francisco School, a private school that is a mecca for Orff, with three full-time Orff teachers on staff, as well as (starting this year) an internship program for professional music educators wanting to work with those masters of the approach. Apart from the Orff certification program, Doug teaches an internationally renowned jazz course. I took this course in 2008, then used it as the basis for my entire curriculum the following year. Employing playground games and instruments commonly found in an Orff-equipped classroom, Doug teaches young children to play and sing jazz better than many classically trained musicians can. The jazz course didn't just teach me to teach jazz; it taught me to appreciate it, to love it, really for the first time in my life. As I said in Part II of this series, my appreciation of jazz had been mostly limited to big band music. Experiencing it now, in this context, and with the understanding I'll be sharing in the next paragraph, it took on far greater significance for me, and suddenly my ears were opened. Yes, if you're wondering, this was yet another watershed moment in my evolution as a music lover. Jazz, I came to believe, is America's music, music that could only have arisen in this tossed salad of ethnicities, and from the tragic crimes against humanity committed by our forebears. The roots of jazz are, ironically, in Roots. African slaves were denied their culture, forbidden to drum, so they moved rhythms to their bodies. Any sign of rebellion was brutally punished, so they developed a code for expressing their anger, their longing for freedom, translating it into Bible stories and humorous songs that poked fun at masters metaphorically. Seeing and hearing the liveliness and soulfulness of this music, whites performed it in blackface at minstrel shows, unaware that in parodying the music of their slaves they were also ridiculing themselves. (Yes, the levels of irony quickly become overwhelming.) Minstrel music merged with early gospel and blues influences to become traditional jazz--what was for a time called Dixieland--which in turn spread out to birth other styles of music, to cross-pollinate with the ethnic music of Spanish, Irish, Scottish, and Jewish immigrants. The flow-chart is impressive. Clearly jazz is a multi-cultural mélange that has, in turn, influenced every other popular form of music to issue from the United States. And the best irony of all is that the music of a conquered people has, in turn, conquered the world. Returning from San Francisco, I plunged into jazz, accumulating recordings of all the great players, listening, really listening, to the soloists as their improvisations poured out their pain, their passion, and most of all, their joy on the musical canvas. In my classroom, I had children moving to jazz, experimenting with it, scatting, playing the blues, dancing to jazz tracks. At home, I played hours of jazz greats: Miles, Dizzy, Bird, 'Trane, Hamp, the Bean, Monk, Mingus, Tatum. And for the first time in my life, I began playing it, seriously, in a combo, recruiting other musicians to come play in my living room. We never performed, but it was enough to really set me on the road to becoming a jazz player. Since 2009, Orff has been mostly absent from my work. It's hard to introduce it to teenagers, even if, as with my younger students, they have dim memories of doing it in the fourth grade with me. Even if I can't overtly teach it, though, it's still vital to my personal philosophy: living fully, creatively, in community with other human beings, is the greatest masterpiece I will ever compose. One other thing, which will carry over into the conclusion of this series: the Orff approach can be applied to any style of music. Ideally, the content of Orff classrooms is multicultural and eclectic. As an Orff practitioner, I have come in contact with, and been entranced by, music from around the world, and have found value in all of it. This is where we come back, yet again, to taste, and the words that will lead us through the final installment: if it sounds good, it is good.